This week I dined at a small restaurant chain known for its burgers. 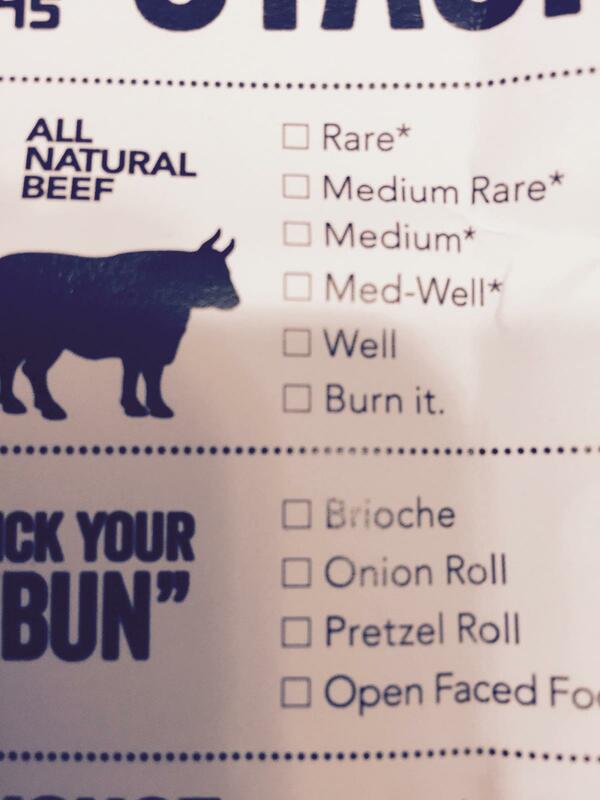 The attached picture is from their menu, asking the patrons how they’d like their burger cooked. This is such a dumb question but it’s asked everyday across the land as consumers order burgers at local restaurants. You will never hear a national burger chain like McDonald’s, In-N-Out or Wendy’s ask this stupid question. Why? They care too much about your safety. Burgers are not like steaks. Steaks are safe cooked medium rare or rare because only the surface of the steak has any possibility of E. coli contamination. Once the surface of the steak hit the hot surface of the grill, E. Coli is dead almost instantly. The meat in burgers has been tossed and turned like the clothes in your dryer. Every ounce of a burger, inside and out,has the possibility of being contaminated by E. coli. Where does E. coli come from? E. coli lives in our stomachs, intestines and colon. Same goes for a cow. Processors steam pasteurize the carcass or rinse it with water and organic acids in an attempt to remove any E. Coli contamination from the carcass, but the system isn’t full proof. It just takes a spec of contamination, hidden in a seam of a muscle to get you sick. Not all strains of E. coli are dangerous for us to consume but seven are considered “adulterants” by the USDA these strains are checked for daily in meat plants by laboratories. It’s impossible to check every ounce of the meat for E. Coli contamination. The USDA only requires a 325 mg sample per 10,000 lbs of meat. The odds of finding it are pretty low in a lab test. The best answer to preventing you or you family from food born illness is to cook to an internal temperature of 160 degrees F. E.Coli cannot survive at 160 or above. Neither can salmonella or many other bacterial strains found in food. So next time you are asked, how’d you like your burger, the answer is, “160 degrees internal please”. That’s normally a burger with all the pink cooked out. If you like your beef rare, order a steak. But not your burger. 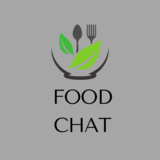 This blog post is not meant to scare you from eating great tasting and nutricios burgers. Actually, you are much more likely to get E. Coli in the produce you eat on the burger. So rinse your vegies!